The more I become acquainted with Gary McKinnon, the more this man excites my compassion. McKinnon is a Scottish technical expert facing extradition to the United States. He is wanted for breaking into American military networks and downloading a picture. McKinnon has an extreme fascination with UFOs. He also has Asperger Syndrome (AS). Two things make the McKinnon case compelling. The first is that according to expert medical opinion, he is not mentally competent; the second is that the Obama administration is keen to convict a high-profile "hacker" to help market its new cybersecurity agenda. To the first point I can't speak with any expertise but I do know this: Autism in general, and Asperger Syndrome in particular, are not uncommon in the IT industry. In my own professional network I know a top-tier security expert with AS. On the surface he is unremarkable except for the fact that you could boil water with his IQ. But roiling down below is a complex emotional slope prone to hysterical meltdowns and conspiratorial paranoia. I couldn't imagine this fellow lasting five minutes - let alone serving a full sentence - in a US federal penitentiary. As to the Obama administration's fixation on getting its hands on Mr. McKinnon, I offer this. According to one US prosecutor Gary McKinnon has committed "the biggest military computer hack of all time". Just for starters, the cyber-spies who downloaded terabytes of data on the US military's F-35 fighter jet might feel slighted by that claim. But let's examine the facts. 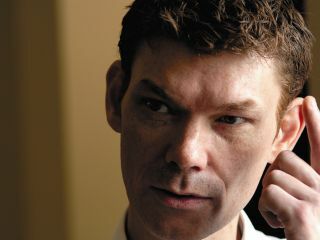 Gary McKinnon has stipulated that he breached several military networks in search of suspected UFO data. In the process he caused no damage; inserted no malware; nor demanded any payments. Granted McKinnon had no right to access this data but his crime was not much worse than a kid who took a car for a joyride. Grand theft auto this was not, prosecutorial hyperbole notwithstanding. Although the US government claims it cost $700, 000 (£436,000) to repair damage caused by McKinnon's intrusion, this smells like an exaggerated figure. It is more likely that some embarrassed network administrators requested an array of expensive software upgrades that should have been installed in the first place. But make no mistake. Gary McKinnon is no innocent. He was wandering around places he should not have been, doing things that he had no right to do. However, his mental state was, and remains, a salient factor. Gary McKinnon should not be extradited to the United States. To send this unfortunate person into the American judicial system - and ultimately into a federal penitentiary - would be tantamount to a human rights violation. The British courts are perfectly able to arrive at a just verdict, and one would hope that decision would include psychological counselling as part of its remedy. The question remains, will the British Government have the courage to stand up for one of its own?